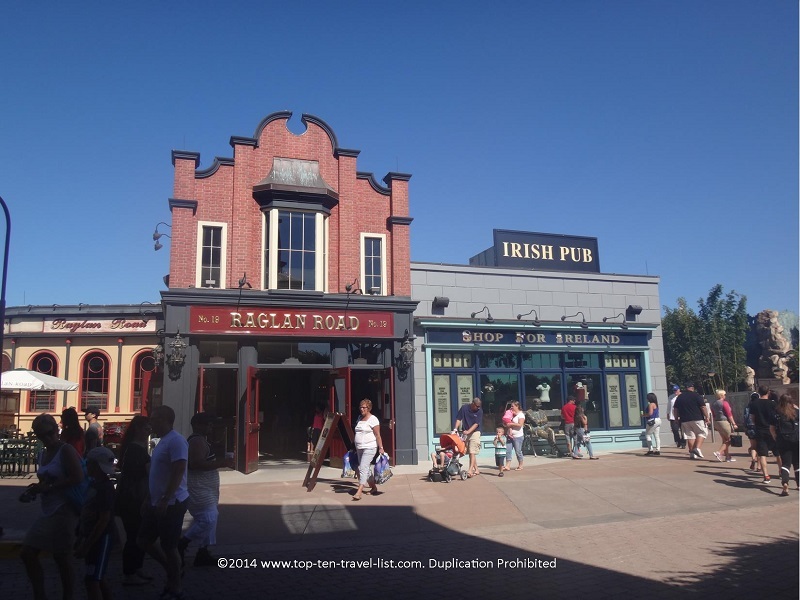 Attraction of the Week: Raglan Road Irish Pub in Orlando - Top Ten Travel Blog | Our experiences traveling throughout the US. Happy St. Patrick’s Day! For most Americans, St. Patrick’s Day conjures up images of green beer, festive parades, corned beef and cabbage, leprechauns, four leaf clovers, and all sorts of crazy green themed apparel. Interestingly enough, the first St. Patrick’s Day parade was actually held in Boston (in 1737), not Ireland! Today St. Patrick’s Day is more of a festive American holiday, celebrated by both the Irish and non-Irish, mostly as an excuse to party and drink green beer. What once started as a religious holiday to celebrate the patron saint of Ireland has now become an international celebration of Irish heritage. While you could visit any standard bar and enjoy the Irish festivities, visiting an authentic Irish pub is so much more unique as you will get to experience true Irish food, music, and decor. Raglan Road is one of these fantastic Irish restaurants, offering authentic, creative dishes and a gorgeous dining room that was designed in Ireland. Best of all, you can enjoy a free step dancing performance! 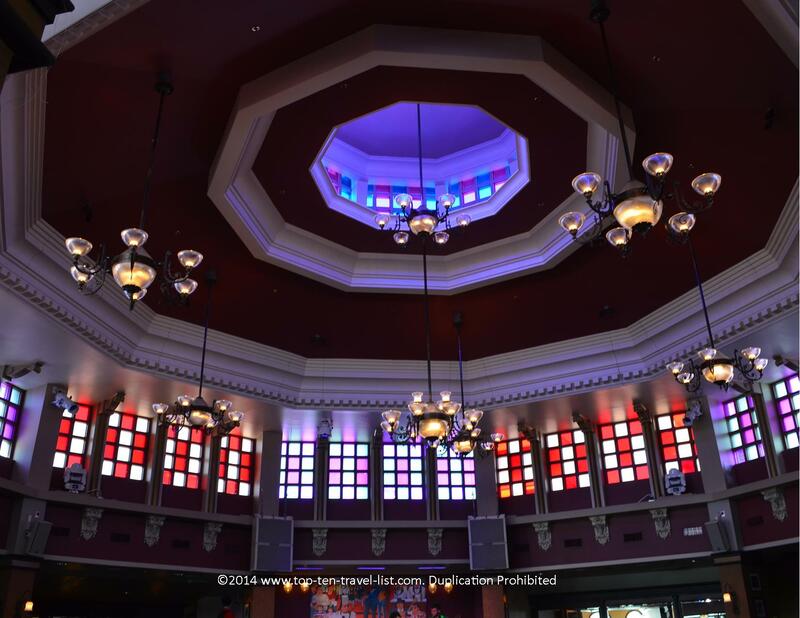 Check out the gorgeous domed ceilings! Not only is Raglan Road one of the best restaurants in Orlando, it also is one of the best Irish pubs I’ve ever come across. 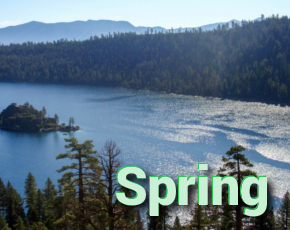 They even hold a week long Irish festival every March (this year’s takes place the 11th-17th), known as the Mighty St. Patrick’s Day Festival. Ditch the green beer and enjoy an authentic Irish celebration, strangely enough, in Orlando of all places! As green beer is more of an American tradition, Raglan Road believes in drinking the beer as it was intended to by not adding any dyes. What Raglan Road does offer is traditional Irish music and amazing Irish step dancing performances, authentic dishes (the chef and owners are from Ireland), and a gorgeous bar and dining area (the entire interior was built in Ireland and shipped to Downtown Disney – talk about authentic!). Check out a little snippet of one of the wonderful step dancing performances! 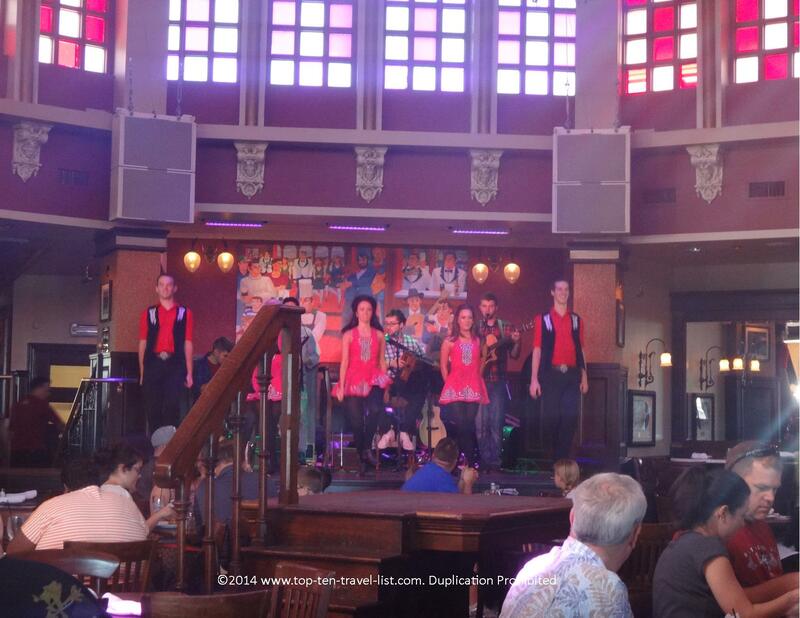 The Rollicking Raglan Brunch Irish Dance Show takes place Saturday & Sundays from noon to 3pm. Weekdays you can enjoy the show every hour from 4-9pm. In between, step dancing performances, you’ll be able to listen to some great live Irish music. According to Raglan Road, you will not find corned beef and cabbage on the menu because it is a New York dish, not Irish, and they prefer to keep the menu authentic. Head Chef Kevin Dundon has won many awards including Irish dish of the year for his Glazed Loin of Bacon with Colcannon Mash. He is also famous for his book: Full on Irish: Creative Contemporary Cooking; many of the recipes have been featured in various media. The menu at Raglan Road includes both modern and creative, as well as traditional Irish dishes. Even vegetarians and those dining gluten-free will have a few options. 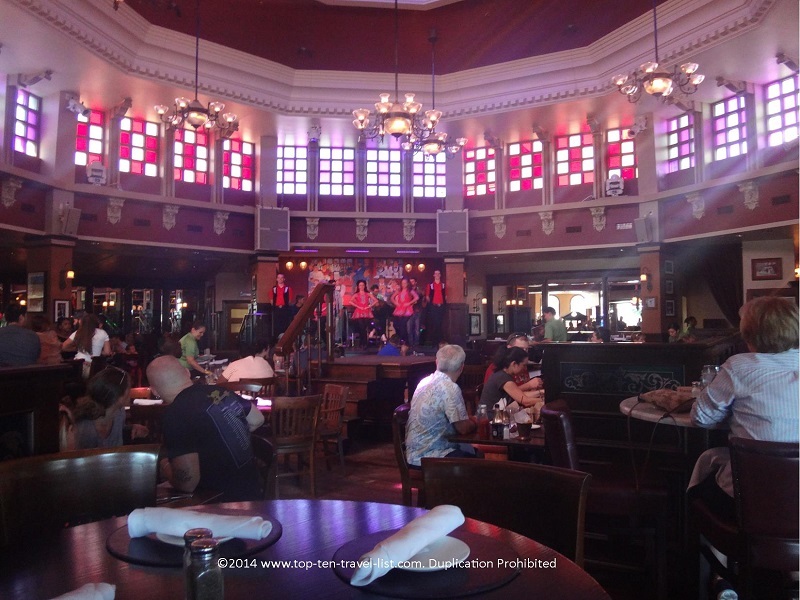 In fact, Raglan Road is one of the top allergy friendly restaurants in Orlando. Crock o’ Pate – Rustic chicken liver pate with apricot chutney and a berry compote. Heaven on Earth – Baby back ribs topped with a Guinness glaze. Keen Eye for the Shepherd’s Pie – A contemporary twist on the traditional Shepherd’s Pie. Bangers & Booz – Guinness & onion banger on mash with caramelized onions & beef stew on top. It’s not bleedin’ Chowder! – Fresh seafood & potatoes in a creamy white wine broth. The Mighty Sword(Fish) salad – Grilled Block Island swordfish, grape tomato, cured olives, capers, broad beans, diced potato, arugula, soft boiled egg, lemon vinaigrette and saffron aioli. You can also add chicken or shrimp to the dish. Smoked Salmon Potato Cakes – Irish smoked salmon served alongside delicious potato pancakes with creme fraiche and a caper dill vinaigrette. Every dish at Raglan is cooked to order as they do not believe in using any canned foods or pre-cooked food. 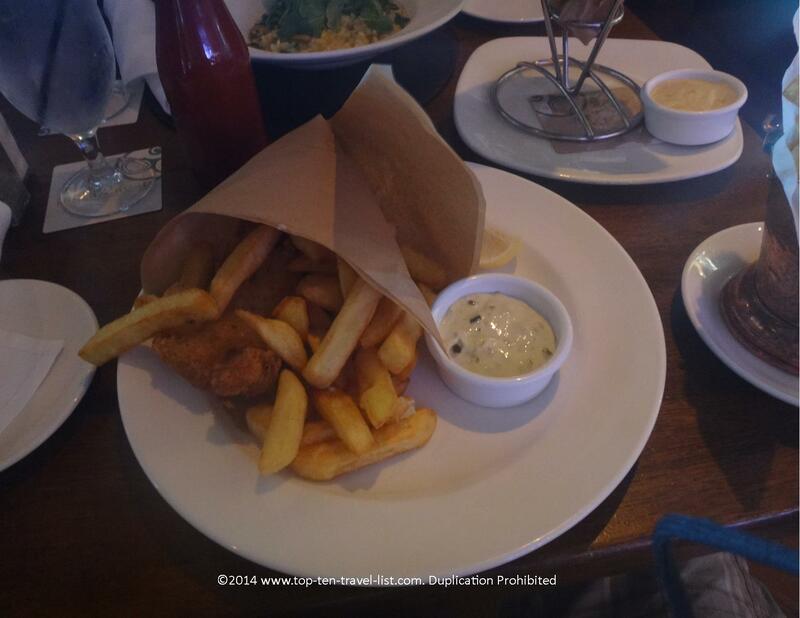 You can’t go wrong with the classic Fish and Chips entree. So delicious! Pictured below is the gluten-free version. 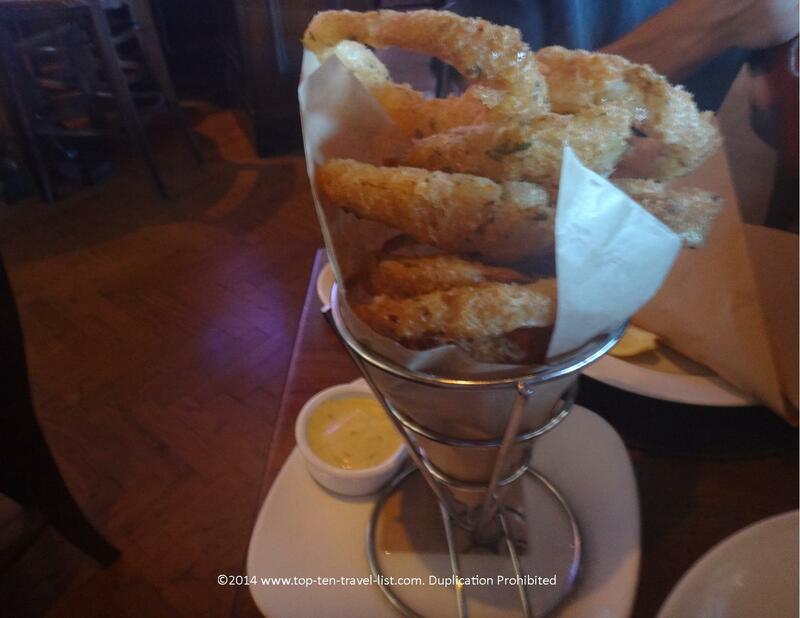 A special batter is used for several dishes at Raglan Road, including the onion rings and french fries. They offer a very extensive menu for those avoiding gluten. Check out the full Raglan Road Gluten-free menu. 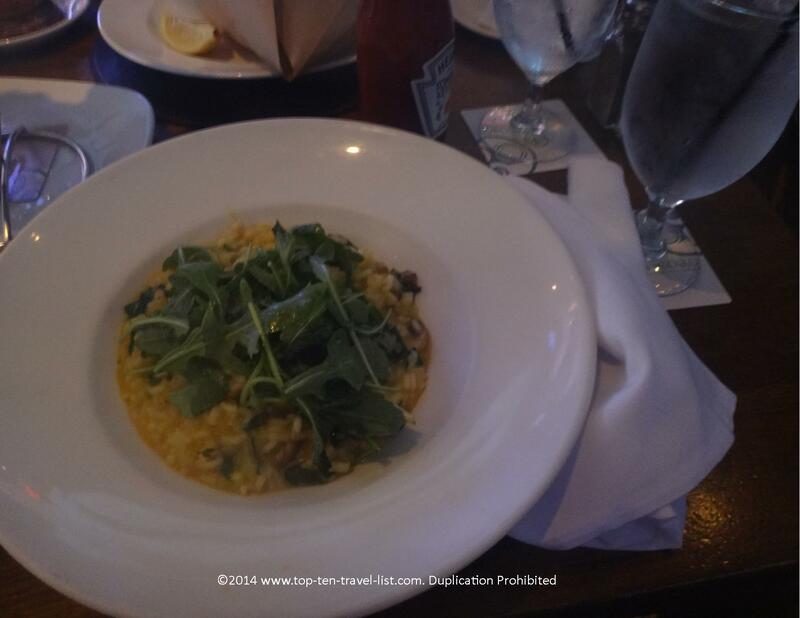 The Raglan Risotto is another great option. Originally consisting of garden pea risotto, aged pecorino, buffalo mozzarella & pea tendrils, I decided to make this dish vegetarian. The chefs have no problem catering to any special requests, making it a great place for vegans and vegetarians to eat alongside their carnivore friends. Overall, you will find that Raglan Road offers a winning combination of service, food, and entertainment. You really can’t get much better than Raglan Road in terms of a prime place to spend St. Patrick’s day in Orlando (or any other day for that matter just to enjoy the fun food and fun Irish culture). Have you ever visited Ragland Road? 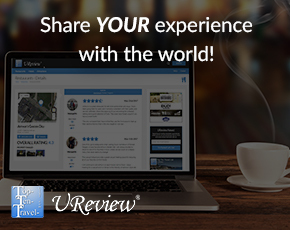 What are some of your favorite Orlando restaurants?